Wat is dit voor site? Wij zoeken de goedkoopste boeken op internet. Gardeners' World Top Tipsvonden we het goedkoopst op Bol.com voor €9.49. We hebben gezocht in nieuwe en tweedehands boeken. Rechtsonderaan de pagina kan je het boek direct bestellen	via Bol	.com. 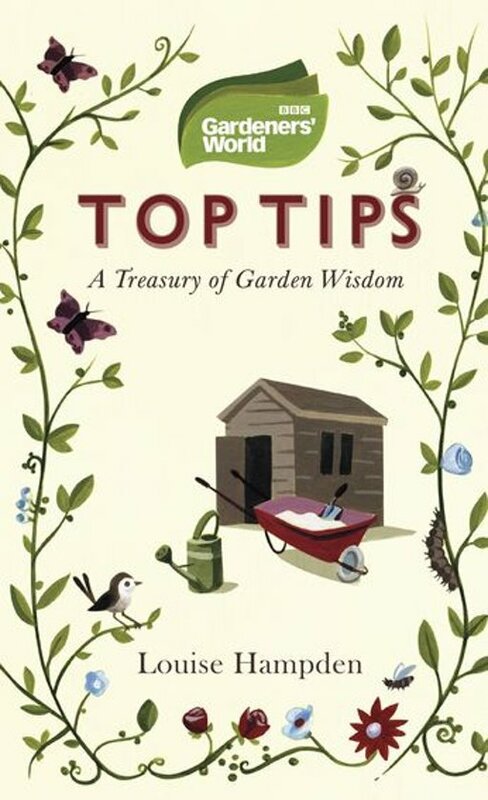 Top Tips is a charming accompaniment to the daytime Gardeners' World strand that collects the most fascinating and useful hints and tips from 40 years of Gardeners' World, to help you make the very best of your garden. Divided into chapters covering Flowers, Food, Containers, Design and a miscellaneous 'Something For the Weekend' section, Top Tips will teach you how to make the most of classic British blooms, how to propagate exotic plants in our cool climate, the pots to plant them in and the food they'll need to help them grow. It will help you make the most of small gardens and tackle wide open spaces, to attract ladybirds and slugs as an organic army to fight flies and aphids, and to grow the plumpest, juiciest fruits and vegetables on your doorstep. All this is presented in a classic, elegant format, with fine line drawings illustrating the snippets of invaluable gardening know-how that will make the perfect gift for your green-fingered friends to dip into.